The new burner has proven success with the garden sprayer pressurizing the oil. The next step was to build a new tank that holds more than one gallon, so there would be enough fuel to actually complete a decent melt without stopping to refill. 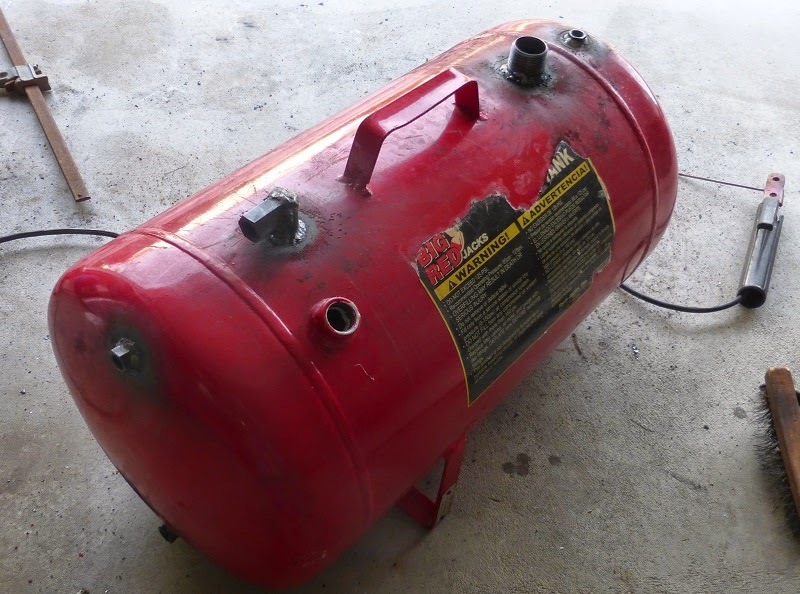 I would've modified my old gravity fed tank, but I had trashed it in a rage of fury after the first success. 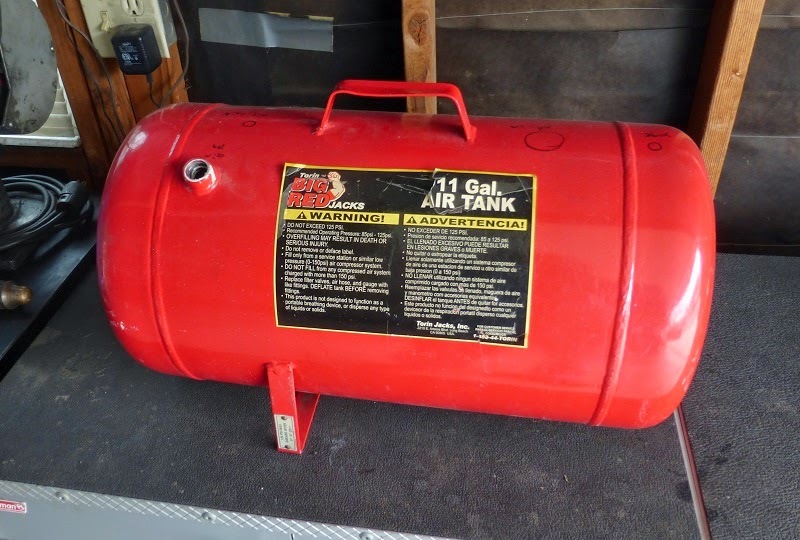 I went ahead and bought an 11 gallon air tank to modify to hold oil. The basic design would be like this. 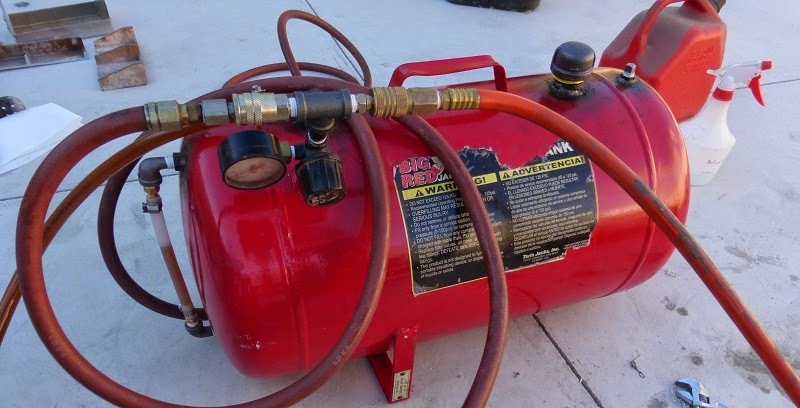 I went with the idea of pressurizing the tank with compressed air through a regulator. 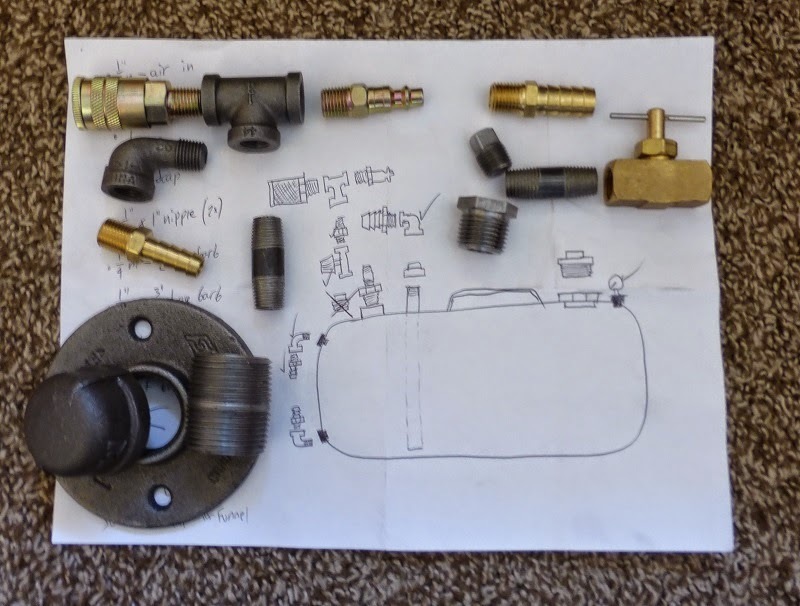 Here are some pipe fittings for the conversion. 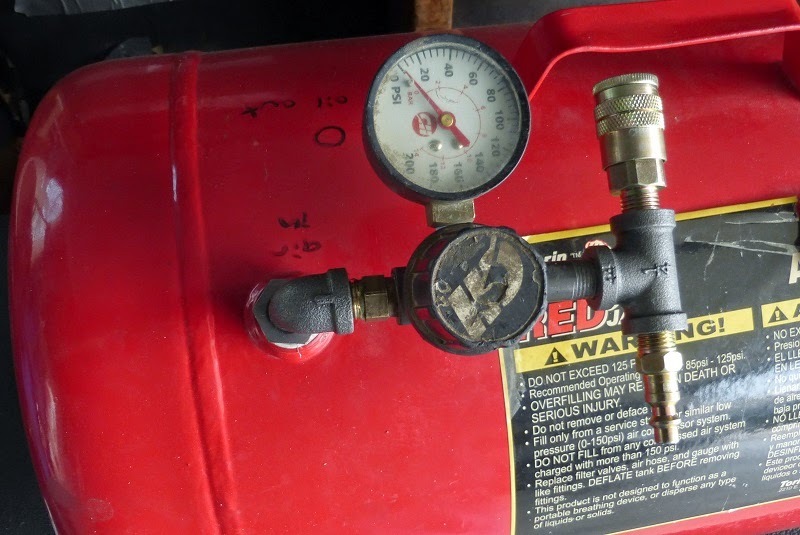 With this configuration, I could plug an air hose from the compressor, and one through to the burner. 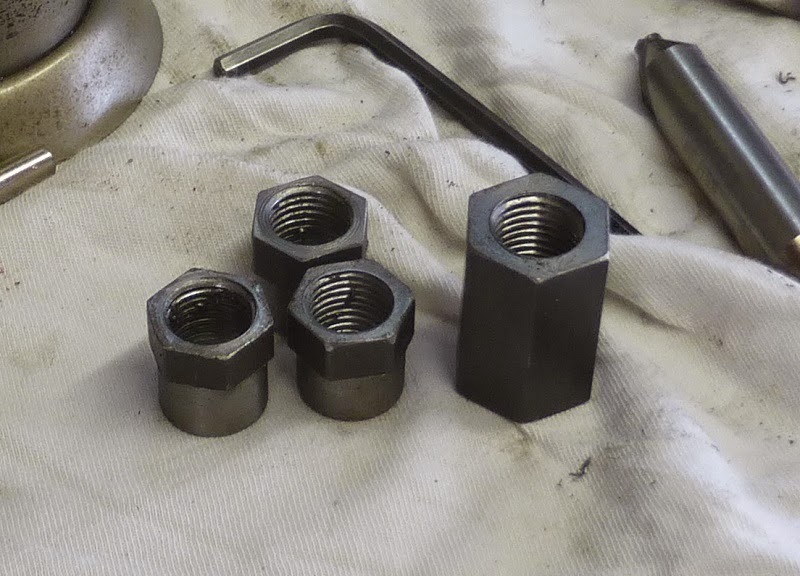 As for all the other stuff that would be attached to the tank, I made some ¼" pipe bushings to be welded onto the tank. 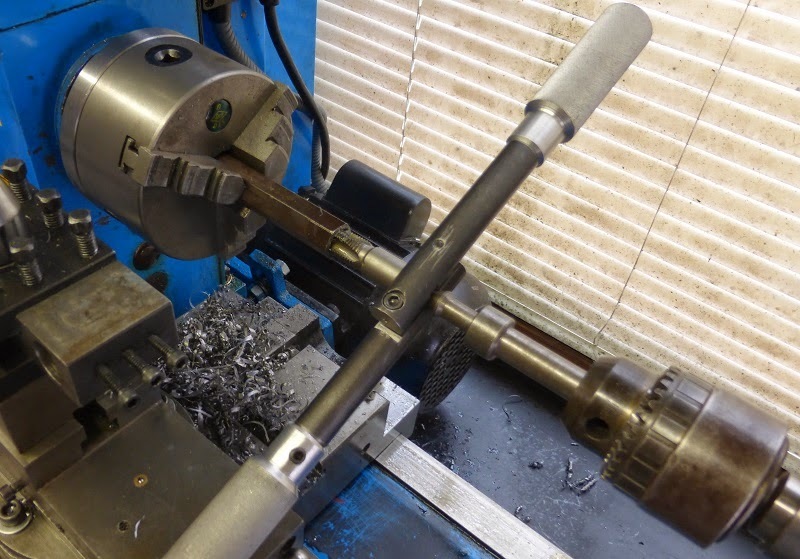 I used hex stock because pipe tapping in the lathe generates so much torque that round stock would slip in the chuck jaws. 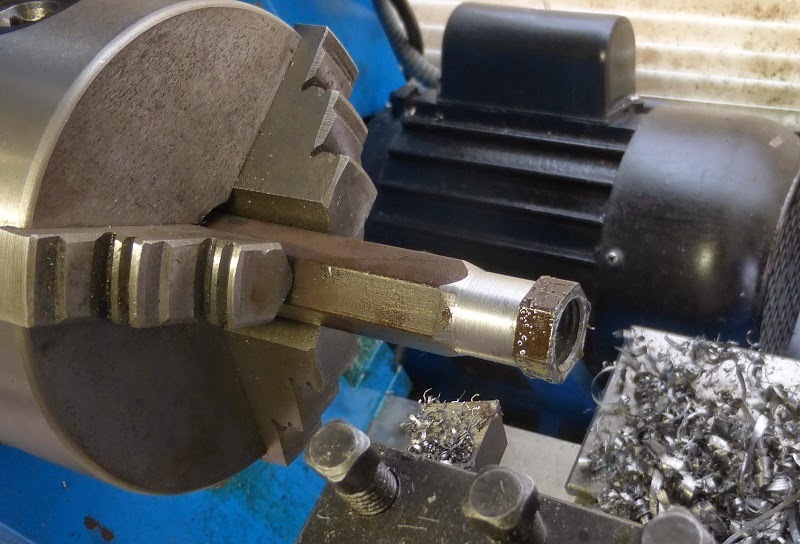 Then my left handed lathe tool became useful for once. Afterwards the bushings were parted off. Here are three bushings on the left, and the oil outlet piece on the right all ready to be welded onto the tank. 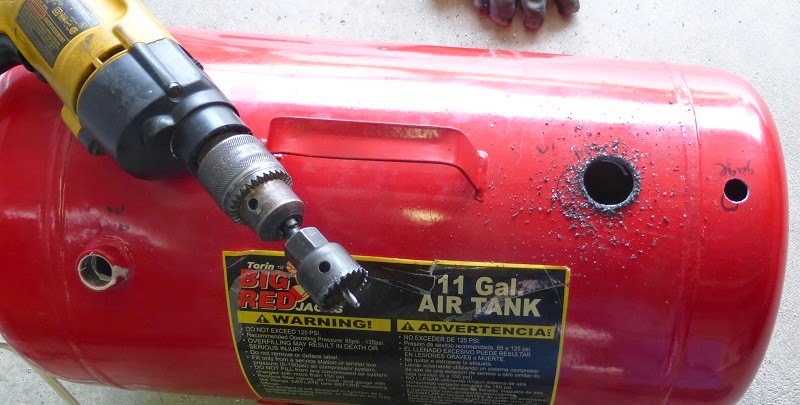 Drilling the holes in the tank. The oil inlet hole was the biggest as it is for a 1" piece of pipe. I had to use a hole saw to cut this one. Then with all the bushings welded on. Here it is all set up. 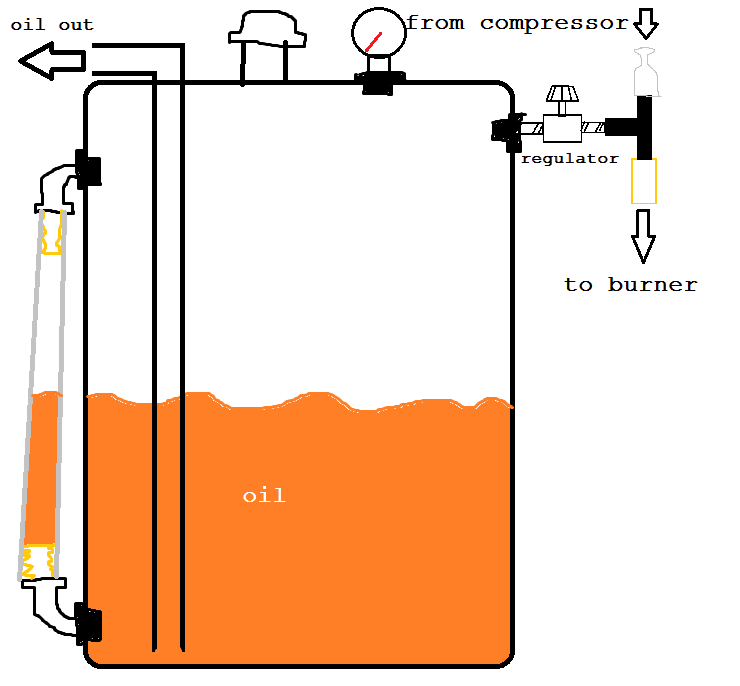 Notice the tube on the left side, this shows how much oil is in the tank, which appears a little over half full in the picture. I made it by threading some street elbows into the bushings and then some hose barbs. Street elbows are really handy.